GE Appliances are found in more homes than any other brand. GE makes a huge collection of quality appliances for the kitchen and laundry room. They have a good service record, but do break down on occasion. 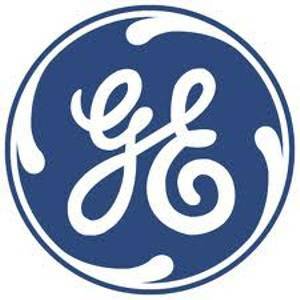 When you need GE appliance repair in Scottsdale, AZ or the surrounding communities, give us a call. We’ll come running with the area’s top appliance repair service. Here’s a look at what we offer you! Whether you have a high-end GE Profile model or something more affordable, we can get it back in service quickly and affordably. Our skilled, highly-trained technicians have the experience to solve the problem in just a few minutes and make the needed repairs – but only after discussing them with you and getting your approval. From ice maker repair to refrigeration systems to simple things like sensors or a thermostat, we’ll take care of the problem ASAP. We fix built-in and portable dishwashers in all of the GE lines. Don’t let the dishes, pots and pans pile up; give us a call and we’ll come running with the best dishwasher repair in Scottsdale, Fountain Hills and all of Maricopa and Pinal Counties. When your main cooking appliance breaks down, the menu gets pretty short. Don’t survive on microwaved pizza and fast food! Call us today and we’ll get you cookin’ again quickly with appliance repair prices you can live with. Do you have a sink disposer or trash compactor that isn’t working? That makes kitchen clean a bigger hassle than it needs to be. Give us a call and we’ll get the repair done quickly, so you’ve got all the tools to reduce work and mess in the kitchen. Whether you’ve got a traditional washing machine or a newer front-loading clothes washer, we’ve got the skill and experience to get it back in business before you get buried by the laundry. Call us for clothes washer repair in Scottsdale and surrounding areas. Depend on us…we won’t let you down! We repair all GE gas and electric clothes dryers including high-end models with steam or sanitizing heat. You won’t be hanging up loads of laundry when you trust your dryer repair to us. Call today and we’ll be on the way! We repair all GE appliances as well as Kenmore, Samsung, LG, Whirlpool, Bosch, Amana, Hotpoint, Sub-Zero, Wolf, Viking, KitchenAid, Miele, Haier, Asko, Frigidaire, Jenn-Air and many more. Give us a chance to show you why we’re the only Scottsdale appliance repair company you’ll ever need!